Not racing to your potential? You read the books and training articles, like your friends told you to. You did the hours and hours of training, just like you’re supposed to. And you bought the gear and looked great on race day. 90% of the Field Doesn’t Know How to Race Either! The fact is that the run course is littered with the underperforming bodies of athletes who thought that success on race day was about the fitness they brought to the starting line. While it’s true that you can’t compete with fitness, it’s also true that you can’t perform to your potential if you don’t know how to race! In fact, the triathlon world has conspired to make you think that racing faster is about training more, or harder, or buying that last remaining aero carbon electronic widget that you don’t have. You Likely Don’t have a Fitness or Equipment Problem. Instead, You have a Race Execution Problem! 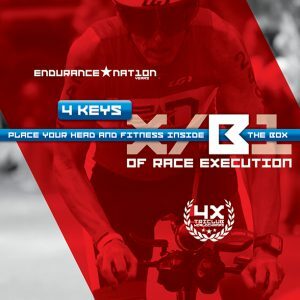 Created in 2007, recorded as a DVD in 2008, and delivered live at 4 to 6 Ironman events every year, the Four Keys have been used by over 20,000 athletes to have successful races. And we bring them to you here for your race execution improvement pleasure! Please continue reading for an overview of each of the Keys, the be sure to watch the entire presentation below! Through months and months of training you’ve built a fitness vehicle. But that vehicle is only as good your ability to drive it correctly and efficiently for the distance of your race. 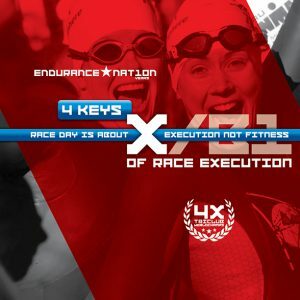 Race day then is about the application of race execution skills to your fitness, not the application of fitness to the course. In fact, the course is littered with consequences of fitness-based race execution. If you observe how a race plays itself out, you’ll note that there exists a Line on the run, at which the race becomes dramatically harder. Your objective throughout the day is to create conditions for success at The Line, which we define as simply not slowing down. Everything you do and every decision you make before The Line is made from the perspective of setting yourself up for success after The Line. The Box is only as big as what you can control, right now. 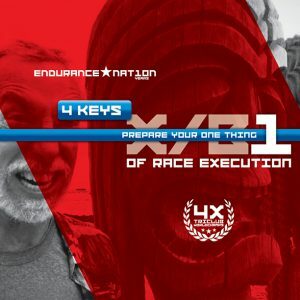 Inside of The Box are your race execution processes and things you can control right now. Outside of The Box are outcomes and the actions of other athletes around you. Successful outcomes are then the result of the proper execution of well-rehearsed processes and problem solving. 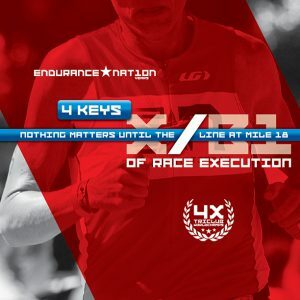 Processes drive your race execution vehicle, not desired outcomes. When you reach The Line, and the race becomes dramatically harder, you rely on your One Thing to help you not slow down. Your One Thing is “why am I racing? What has brought me to this day and what is my successful outcome?” Reliance on your One Thing will help the Mind win the debate with the Body, with the result that you slow down less than your competition. Start your Free Trial and let’s crush your season together! Sign Up for 30 Days of FREE Coaching!